PRINCE, JOHN, lawyer, farmer, soldier, politician, and judge; b. 12 March 1796 probably at Hereford, England, eldest son of Richard Prince, a miller at Lugg Bridge, near Hereford, and his wife Mary; m. 17 June 1823 Mary Ann Millington and they had seven sons and one daughter; d. 30 Nov. 1870 at Sault Ste Marie, Ont. John Prince was educated first by his uncle, a Church of England clergyman, and then at the Collegiate Grammar School, Hereford. In 1813 he was commissioned a lieutenant in the 1st Regiment of Herefordshire militia but left the regiment in 1815 to begin the study of law. He was admitted to the bar in 1821 and embarked upon what rapidly became a successful career, practising at Westerham, Kent, from 1821 to 1823, and at Cheltenham, Gloucestershire, from 1823 to 1833. In 1831 he joined Gray’s Inn, London. He showed an interest in politics by campaigning in 1832 on behalf of the Whig candidate for Cheltenham for the House of Commons. Prince was a respected lawyer. He could probably look forward to the rewards that would accompany advancement in his profession and the satisfaction of his political ambitions. But, in the summer of 1833, he suddenly abandoned his law practice, uprooted his family, and set off for the interior of North America. Family reasons explain Prince’s unexpected move. His father appears to have been a ne’er-do-well. In 1826 Richard Prince was fined more than £1,100 for making malt illegally, and by 1832 the reputation he had acquired as a wastrel seems to have been profoundly embarrassing for his son. John relocated at Sandwich (now part of Windsor), Upper Canada, and at that remote outpost of the British world made an apparent attempt to hide, to escape the humiliations which he felt humankind wanted visited upon him. At Sandwich Prince supported himself at first by the proceeds of his law practice at Cheltenham (indeed, this source appears to have accounted for much of his income for the rest of his life), and in a few years acquired park lots just beyond the town. These became the basis for his Park Farm on which he built a Regency cottage in 1835. It was turned away from the nearest road, another apparent manifestation of a desire to escape. From his diaries can be gleaned a frequently expressed wish to escape life altogether, although he was too devout to destroy himself. His struggle to flee also dominated his view of his adopted country, and for the rest of his life he entertained a hatred for “this wretched Country where man’s Capital & killing Exertions go for nothing”; yet he felt driven to participate in public life, an urge all the more easily rationalized as it was a way of avoiding burgeoning domestic unhappiness. He was self-reliant, and conceived himself predestined to lead; consequently the led, those who depended on others and particularly on him, were to be despised. It is not surprising and it is consistent with his personality that his lifelong political watchword was independence. In Upper Canada people of education were few and needed, and soon after his arrival Prince was named, in July 1835, a magistrate for the Western District. It was after the death of an infant son early in 1836 that Prince offered himself as a candidate for the two-member Essex riding in the House of Assembly. He ran as an independent and his popularity was already such that he headed the poll. In the house he proved a capable and energetic member, and he was particularly active in issues that affected his constituency. The year 1837, when he introduced and carried five bills, was perhaps the most successful in his parliamentary career. In that year he pushed through a bill to establish the Western District Bank, and with William Hamilton Merritt he promoted a bill on land titles which he felt would induce British immigrants to remain in Canada rather than move on to the United States. He also attempted to regularize the land titles of nonnaturalized “aliens” who had acquired land in Upper Canada. One of the bills he got passed was particularly dear to him; it prevented the killing of game out of season. In July 1836 he had been appointed chairman of the Court of Quarter Sessions in the Western District, and that autumn he accepted the presidency of the Niagara and Detroit Rivers Rail Road Company. When the rebellion led by William Lyon Mackenzie broke out in Upper Canada late in 1837 Prince volunteered to serve in the militia. In 1838 the main concern at Sandwich was the defence of the western frontier of Upper Canada against Patriot attacks from Detroit. He participated in the capture of the Patriot schooner Anne, which carried Edward Alexander Theller*, near Amherstburg on 9 Jan. 1838. He fought on 25 February in the battle of Fighting Island and on 3 March at the battle of Pelee Island when Patriots attempted landings in Upper Canada. A few days later he and a few companions captured the Patriot general, Thomas Jefferson Sutherland*, whom they found by accident wandering near Amherstburg. Prince was soon gazetted colonel of the 3rd Essex militia. Prince’s military career had been brief but noteworthy, and Lieutenant Governor Sir George Arthur* of Upper Canada considered it merited the “approbation of the Crown.” Prince, however, had other concerns that summer: another son was born but his birth was complicated by the near death of Mary Ann Prince, and on 15 August Prince was called to the bar of Upper Canada. The danger of invasion of Upper Canada was not over, however, and British military authorities feared further attempts by Patriots from Detroit. On 25 November Prince was given command of the militia post at Sandwich and was asked to call out all militia regiments in anticipation of an attack. On 4 December more than 150 Patriots crossed to Windsor and took the town. Led by Prince the militia dispersed the invaders, 27 of whom were killed. During the battle Prince “resolved upon shooting at once and without a moment’s hesitation every bandit who happened to be captured and brought in.” By Prince’s orders, five men were shot. Prince’s unorthodox course of action did not go unopposed in the Western District. “A cabal of disappointed persons . . . are formed against me,” Prince reported, and his diary records the horsewhippings he inflicted on persons who he felt had insulted him. The Sandwich Western Herald, in turn, listed subscriptions it lost in coming out in support of Prince. But the more general feeling that the Patriots had received no more than they deserved sustained Prince’s position among his constituents, the House of Assembly, and the militia. In 1839 he strengthened his support by introducing a bill to grant £40,000 to victims of the rebellion (passed in 1840). With the approach of elections in 1841 freeholders in both Essex and Kent solicited him as a candidate. He chose Essex and won easily. Although Prince had not voted on the union of Upper and Lower Canada when it came before the Upper Canadian assembly he agreed with the proposal, with some misgivings. In 1839 he had supported a motion by Ogle R. Gowan* that the question be taken to the country, and in 1841 he concurred with Lower Canadian members that parts of the bill were objectionable and required modification. When he ran in 1841 he did so as a “constitutionalist” and a supporter of Governor Charles Poulett Thomson*. Mindful of his constituents, “a majority of whom were French Canadians,” he supported Augustin Cuvillier*, whom he considered a moderate Reformer like himself, as speaker. A son, his last, was born to Prince just after the 1841 election. In July a commission was ordered appointing him a queen’s counsellor (it was not, however, actually issued for another three years). In the assembly he participated energetically in debate, but he avoided identification with any group or person and voted “as a Member entirely independent of the Executive.” In 1843 when Robert Baldwin* and Louis-Hippolyte La Fontaine resigned from the ministry he stated that although he was an independent he had always supported the ministry and that as a partisan of responsible government he upheld the ministers’ action. He was still not (and never would be) reconciled to Canada. In a questionnaire which he completed in January 1841 for Frederick Widder he said he would advise prospective British emigrants: “exist on bread and cheese and small beer at home rather than live if you can in North America.” The climate was “most unhealthy” and “in the Country[,] society is of the worst description.” “It is fit only for laborers, who by themselves and their families can till the earth. . . . [T]hey may do about as well as good laborers do in England.” In the assembly he urged that the country be populated by “foreigners from all nations” who should enjoy full rights. for acquiring and conveying lands provided that they were bona fide settlers, but he insisted that paupers, particularly British paupers, not be encouraged to come. It was substantial farmers that were needed in Canada. Prince was appointed commissioner of bankruptcy for the Western District in 1844 and finally received his qc. He was nominated in the autumn to run again in Essex, then withdrew, reversed his withdrawal, and finally won the election handily. He had resigned the commissionership of bankruptcy before polling began. 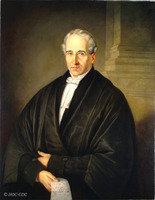 His first act in the assembly was to nominate Augustin-Norbert Morin as speaker in opposition to Allan Napier MacNab because the latter could not speak French. Prince generally supported Baldwin, now in opposition, but maintained his independent stance. His main concerns were petitions for constituents relating to local affairs and a bill for the protection of wild fowl. 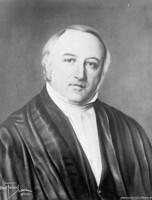 Early in 1845 Prince arranged for the judgeship of the Western District Court to go to a friend, Alexander Chewett of Sandwich. The closer relations with the Chewetts brought more domestic unhappiness, for Mary Ann Prince soon convinced herself that there was something amiss in her husband’s solicitude toward Mrs Chewett during Judge Chewett’s periodic bouts with what was described as illness. By the autumn of 1846 a separation seemed in prospect for the Princes, but to the colonel appearances were important. Prince retreated even farther into political affairs and became a frequent platform speaker. In 1846 he was chosen to move the reply to the speech from the throne, and became a member with Étienne-Paschal Taché and William Hamilton Merritt of the committee on railway bills. When the correspondence of William Henry Draper* and René-Édouard Caron* on the introduction of French Canadian members into the ministry was read in the house, Prince decried the actions of the French Canadian leaders. The longer he sat in the house, he said, “the more he became convinced that it was impossible to conciliate them on true British principles.” He now felt that Baldwin “had not a morsel of British principle in his composition.” He remained an independent, but now his support went to the Conservatives. Mining and railway promotions also became an important outlet for Prince. 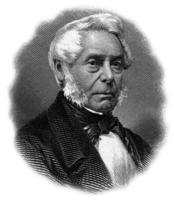 He was president of the Niagara and Detroit Rivers Rail Road Company in 1846 when it tried to revive the charter granted ten years earlier for a railway to cross southwestern Upper Canada. The project, which would have competed with the proposed Great Western, was abandoned in 1847 when compensation in the form of Great Western stock was made to the directors of the company. Prince was also a promoter and major shareholder as well as incorporator in 1847 of the Montreal Mining Company and the British North American Mining Company. He became president of the latter in 1848. In addition he reported that he was a stockholder in the Lake Huron Silver and Copper Mining Company and that he had expended his own money in its explorations. In 1849 he was an incorporator of the Huron Copper Bay Company. 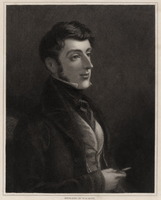 He was a member in 1848 and 1849 of the assembly’s standing committee on railways and telegraph lines; railways, he said, were the “most important public improvement for industry and unity” which could be undertaken in the province. Prince had run unopposed in Essex in the election of 1847. He continued his support of the Tories, and when MacNab and Morin were again proposed for the post of speaker in 1848 he supported MacNab, considering now that it was desirable but not indispensable that the speaker have a knowledge of French. He also reported that he had found Reformers “less liberal than the true liberal Conservatives in fostering and carrying out legitimate reforms.” By 1849 he was ridiculing the use of French in the speech from the throne, and he strongly criticized the Baldwin–La Fontaine government. 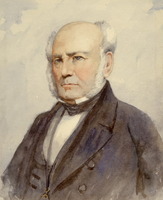 Despite his earlier support of compensation for rebellion losses in both sections of the province (he was rebellion losses commissioner for the Western District in 1846), he strongly opposed the Rebellion Losses Bill in 1849. It was the height of injustice, he declared, for Canada West and the Western District in particular to be saddled with the costs arising from compensation for losses in Canada East. There had not been rebellion in the Western District; instead, people there had been victims of invasions instigated by the rebellion in Lower Canada. Moreover, losses in Upper Canada had been defrayed from its own resources. He participated in public protests against the bill, and firmly supported MacNab in the house. From experience within his own family Prince was convinced of the desirability of personal independence and self-reliance. It was but a short step, at a time of political upheaval, for Prince to depart from a life-time adherence to the colonial link and to want to apply the same principle to public affairs. He thus became an advocate of the independence of Canada, so that its only ties with Britain would be those of friendship. In April 1850 the government revoked Prince’s qc (it was restored in 1852) after he had published these views, but Prince asked only for the independence of Canada and did not approve of the movement for annexation to the United States. Later that year Prince decided that he would leave Canada were he given the opportunity. He did not leave and although he felt that the people were ungrateful for his efforts on their behalf and unworthy of his leadership, he offered himself once more for election to the assembly in 1851. He won, but his desire to retreat from the world probably now included public life, and the importunities of mankind weighed more desperately on his mind. His great love remained hunting. He had obtained in 1848 permission to lease land for a hunting and fishing retreat at Rondeau on Lake Erie, but in January 1853 Mary Ann frustrated his efforts to retain it. In October he tried unsuccessfully to obtain the judgeship of the new county of Lambton. Also futile were efforts in May 1854 to be named chief superintendent of the Indian Department. Prince did not contest the election held in July 1854. His son Albert ran in his place in Essex but lost to Arthur Rankin. Prince was bitter towards Rankin, and in this frame of mind intensified his efforts to escape Sandwich. In August he explored the possibility of obtaining the judgeship at Sault Ste Marie, which he had first visited the previous September and disliked. He was not successful and in early 1855 was refused the judgeship of Huron County. When war broke out in the Crimea in 1854 he made an offer to the government (which was not accepted) to raise troops. Prince had believed for some years that Mary Ann was actively working for his ruin. In 1855 he was scandalized by his son Albert’s marriage to a divorced woman, and it was easy for him to conclude that his children had turned against him as well. 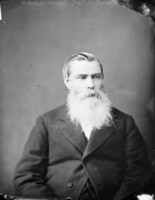 With a deep sense of having been wronged by his family Prince reversed his earlier decision to leave politics and in 1857 sought election to the Legislative Council in the Western division. He was successful, and for the next three years immersed himself in political activity. He was energetic in the council in representing his constituents (in 1857, for example, he obtained passage of a bill for the incorporation of Sandwich), in introducing bills for the incorporation of companies (including in 1857 the St Clair, Chatham, and Rondeau Ship Canal Company, and in 1858 the River St Clair and Two-Creeks Ship Canal Company, and in 1860 the Windsor Improvement Company), and in promoting favourite causes, including in 1857 a bill for the prevention of cruelty to animals. His last legislative contributions, early in 1860, were in the same pattern; they included another game preservation bill and a bill for the division of Sandwich Township into Sandwich East and West. It was on 24 Feb. 1860 that Prince departed for the last time “the ungrateful Soil of ungrateful Essex.” On 26 May at Quebec he received a letter from the attorney general for Canada West, John A. Macdonald*, which appointed him judge of the provisional district of Algoma. 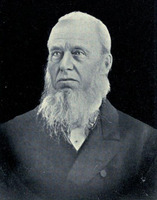 He also became chairman of the Court of Quarter Sessions and judge of the Surrogate Court when Sault Ste Marie was named the district town in October 1860. By July he had moved to Sault Ste Marie. His family was still at Park Farm and Mary Ann maintained that he had deserted them; in April 1861, however, she refused to join him. That summer he built Belle Vue Lodge east of Sault Ste Marie. Prince soon felt himself beset by all sorts of annoyances. Early in 1863 he offered Belle Vue Lodge for sale and that autumn he attempted to resign his judgeship. In 1865 he embarked on a short autobiography, published in 1867 by John Fennings Taylor*. It is an engagingly written document in which he gave the world a very selective view of himself. He offered little of his English origins and career, no explanation for his removal to Canada other than love of adventure, nothing about his family, little about his political and judicial careers, and nothing about his railway and mining interests; there was, however, a great deal about his military career and his life as a sportsman. Physically, John Prince was incredibly tough. In his 70th year he suffered an accident with a horse that required him to amputate his own left thumb with a penknife. In 1866 when there were threats of a Fenian invasion, the old soldier was offering to take military charge at Sault Ste Marie and vowing to execute Fenian prisoners summarily, just as he had the Patriot prisoners at Windsor. He still professed a belief in the need for Canadian independence; an independent Canada would not have been a target for the Fenians, and it would in addition eliminate American contempt for Canada. In the latter part of 1866 Prince had mellowed sufficiently toward Arthur Rankin for whom he had nursed a hatred ever since the election of 1854 to approve of his parliamentary performance on behalf of Essex. That autumn he welcomed Rankin as a visitor at Belle Vue Lodge. On 12 Aug. 1867 Prince learned of his son Septimus’ death of alcoholism. Before the month was out he was seeking to return to southern Upper Canada and applied for the judgeship of Toronto. Another Fenian alarm in spring 1868 sent Prince’s mind back again to 1838. The supreme irony of his long life, however, was that by this time his love of independence had evolved into republicanism; he now questioned the wisdom of ever having defended Canada and the monarchy. John Prince’s tragic life ended on 30 Nov. 1870. At his wish he was buried in a solitary grave on an island in the St Mary’s River opposite Belle Vue Lodge. Hiram Walker Historical Museum (Windsor, Ont. ), John Prince diaries. PAC, RG 68, 1, General index, 1651–1841; 1841–67. Arthur papers (Sanderson). Can., Prov. of, Legislative Assembly, Journals, 1841–54; Legislative Council, Journals, 1856–60. Debates of the Legislative Assembly of United Canada, I–VII. Elgin-Grey papers (Doughty). U.C., House of Assembly, Journal, 1836–40. Notman and Taylor, Portraits of British Americans, II, 159–80. Cornell, Alignment of political groups. Dent, Last forty years. R. A. Douglas, “‘The battle of Windsor,’” OH, LXI (1969), 137–52. R. Alan Douglas, “PRINCE, JOHN,” in Dictionary of Canadian Biography, vol. 9, University of Toronto/Université Laval, 2003–, accessed April 24, 2019, http://www.biographi.ca/en/bio/prince_john_9E.html.